Ian Poulter is an English professional golfer who is a member of the world's top two professional golf tours, the U.S.-based PGA Tour and the European Tour. He has previously been ranked as high as number 5 in the world rankings. The highlights of Poulter's career to date have been his two World Golf Championship wins at the 2010 WGC-Accenture Match Play Championship and the 2012 WGC-HSBC Champions. 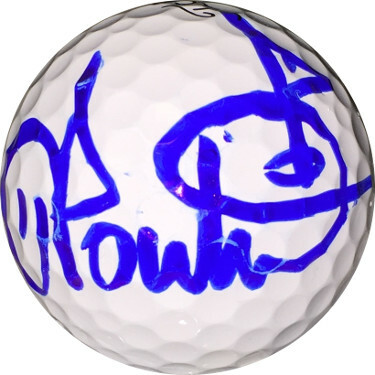 Ian Poulter has hand signed this Titleist Golf Ball. PGA Tour Hologram and Certificate of Authenticity from Athlon Sports Collectibles.